A few weeks ago I wrote a piece called The Joy of Skiing. I had just gotten a late start to the ski season and was just relieved to be back on snow. Fast forward a few weeks, working the holidays and finally catching a breath of fresh air. But this whole time in between while I have been skiing on my days off, it has not felt quite right. On Thursday, for the first time all season, it happened. 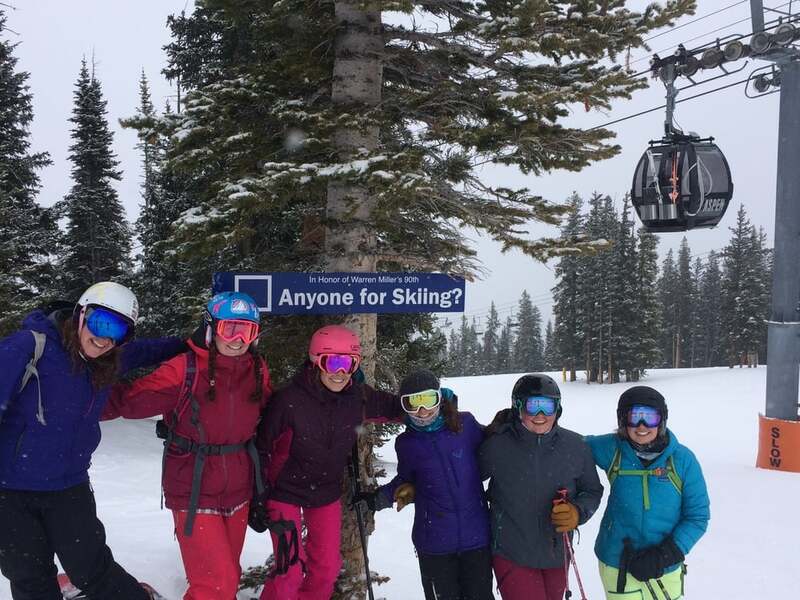 I was skiing around for the Coalition Ski demo day before the No Man’s Land Film Festival, with a rad group of ladies and it hit me, I had not been skiing with a group of ladies or really challenging myself on skis all season. And with a few bump turns and a tight point and go section, my skiing mojo was back. I hadn’t realized I had even lost it until I found it. I was reminded once again this season that skiing is SO much fun, and I finally had people showing me around a new to me mountain, Aspen's Ajax, and I was challenging myself again. It takes a community. While I may have to sing to myself in my head when skiing anything that scares me a little, it’s then the community at the bottom and even just a simple pole tap as a reminder that this is why I am here and love what I do so much. For me the community aspect to most activities is what keeps them fun and challenging. When being continuously challenged by friends I break out of my personal comfort zone. It’s a great feeling and rush of adrenaline getting the courage to try new things and this is apart of skiing. Due to the No Man’s Land Film Festival, I had a chance to meet, ski with and listen to a marvelous speech by an idol of mine in the outdoor industry, KT Miller. She is a ski photographer and environmentalist. I love her work from her photography to her skiing and her environmental work. KT gave a speech on her work, travels and life. It was a great reminder the we need to embrace who we are and be strong to do the things we want to do. From here on out this ski season I will be dreaming big, and making some of the reasons I came out west to live and ski a reality. I’ve got my skiing mojo back, and no one can take that away from me.